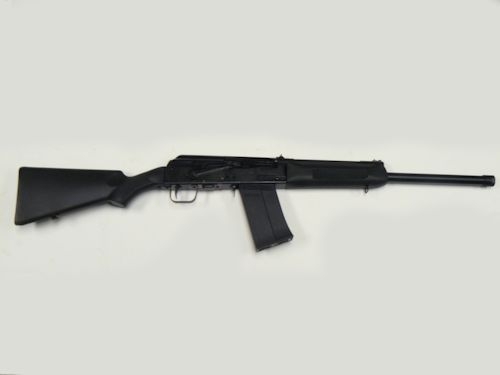 Built on the famous AK-47 action. 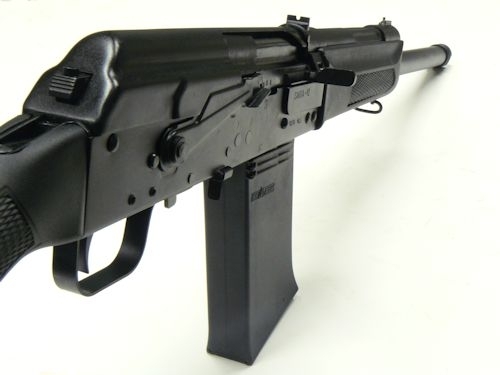 The Saiga-12 is Russian made from the famous Izhevsk plant. Features a smooth bored barrel that accepts shot, slugs and "magnum" shells (2-3/4" and 3"). 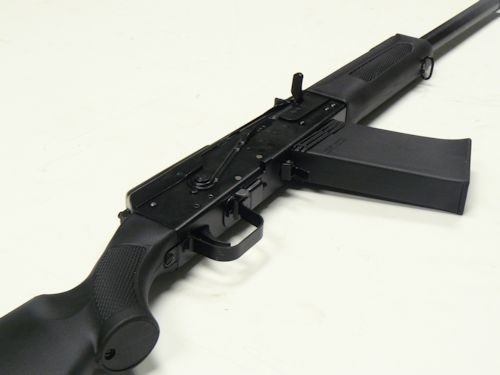 Black synthetic furniture, fixed bead sights, sight mount rail for mounting optics, one 5 rd. mag. Comes with cleaning kit, brush, wrench, oil bottle and cleaning rod. Barrel: 19.06", Overall: 41", Weight: 7.9 lbs. Unfortunately, not available for sale in MA, CA, CT, NY or where prohibited by law. accepts shot, slugs and "magnum" shells (2-3/4" and 3").